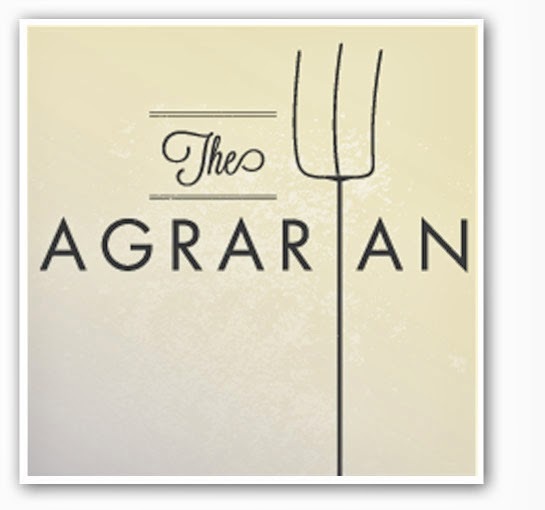 "The Agrarian" is a restaurant in Saint Louis, Missouri. The weeks are going by way too quickly, and I still do not have Classic American clothespins ready to sell. But I am getting closer to that goal. The problem is that too many other things are getting in the way. In addition to the daily demands of the Planet Whizbang home business, I have been helping son #2 remodel a bathroom. I also stripped and waxed the kitchen floor when Marlene went with her sister for a short trip to the Adirondacks. And I got my WaterBoy well-bucket, tripod and accessories all together (I'll be blogging about this in the future). I was contacted this past week by a reporter from the Syracuse NY newspaper who wanted to come here and write an article about my Whizbang Cidermaking equipment. I politely declined to be interviewed. For one thing, I just don't have time for it. For another, I don't want any local attention. Besides that, I'm almost out of the plan books and don't have hardly any cider parts in stock to sell. Last year my cider parts and book sales were kind of flat, but this year they really spiked. My problem is that I have more ideas that I have time to pursue and develop them. This American-made clothespin idea may be the last idea I'm capable of juggling. Nice logo, eh? This is for a restaurant in Canada. I typically take the month of December off from blogging and that would be a good time to pursue an idea I've been thinking about for a long time. I want to start a weekly agrarian-themed blogcast. It would not be a radio show like Scott Terry's Christian Farm and Homestead. Scott does just fine with that agrarian niche, and I wouldn't be good at it anyway. If I'm to engage in some sort of broadcast media, I need it scripted, and my blogcast would provide that structure. It would be 1/2 hour long and air once a week. 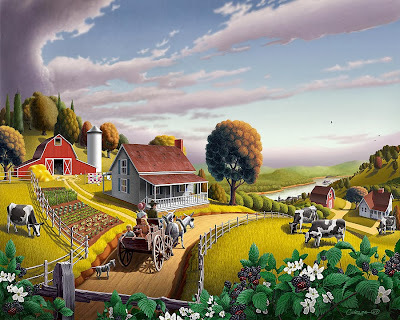 It would consist of selected readings of excerpts from a broad range of agrarian-themed writings. The program would be called, The Agrarian Reader. I'm currently teaching myself how to make a podcast. I'm finding out that it's actually a very easy thing to do. "Today here in the United States there is a class of men and women, perhaps the majority, that is unfree. "I mean all those who subsist on a wage...that is paid to them by those who are, in actuality, their masters; a wage that may be withdrawn at any time and for any reason, leaving them to go on the dole, or to starve, if they can find no new job... "These are not free men in any rational and exact sense of the word." "...he only is a free man who owns and administers his own land, craft, trade, art or profession and is able, at necessity, to maintain himself and his family therefrom." There is a clear and compelling connection between freedom and the ownership of land, tools, and skills. 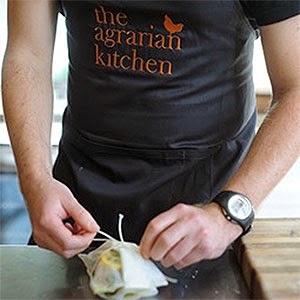 This connection is fundamental to agrarian life and thought. It is something to ponder, and for the wise... to pursue. You are a true entrepreneur! Always more ideas than time. I would listen to your podcasts. I always enjoy what you find in agrarian history. Very cool. 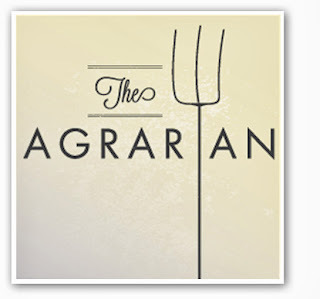 I look forward to The Agrarian Reader! Unfortunately, it is not truly possible to "own" your land when it can be taken from you if you fall behind in property taxes...the real truth is that you still only "rent" your land from the government. I wish there were another way for the necessary taxes (for purposes approved by the Constitution, such as the military) to be raised instead of making them dependent on the arbitrary valuation of land. Walt Curlee's painting reminded me of Psalm 65-11, where it speaks of the Lord's bounty, the carts overflowing. Bless you and all your endeavours.